With so many sports tapes and accessories available on the market, we’ve put together this quick and easy guide to ensure you find exactly what you're looking for. 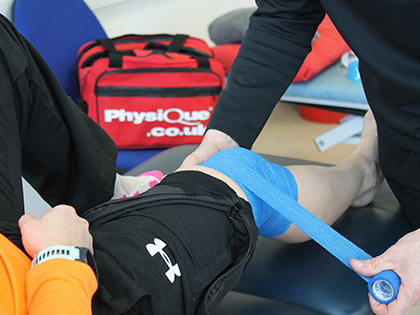 Our passion and proficiency for taping and strapping has grown after dedicated research along with feedback from our customers, enabling us to develop the ultimate range of sports tapes that deliver the best results. Don't just take our word for it, check out some of our reviews below! Strong and ridged, ideal for heavy use sports applications. Serrated edge and easy tear, both width and length-ways. Ideal for long term application or for more robust injury prevention. Lightweight cotton bandage with a strong adhesive. Used to support weak joints and muscles or as a stretch compression bandage. Ideal for supporting ankles, wrists, fingers, thumbs etc. Lightweight with an excellent, strong adhesion and easy to tear and unwind design. Crinkled textured fabric makes it a great line out strapping. Great for a firm support strapping around ankles, knees and thigh areas. Ideal as a compression wrap or fixation bandage for padding and cold packs. A great alternative to EABs or Zinc Oxides. Designed to stick to itself, eliminating the need for underwrap or sprays. Can be wrapped as tight as you'd like. Stays in place, doesn’t move or slip. A rehabilitation tape designed to enhance the body’s natural healing process. Ideal for preventing injuries, easing pulled muscles and joints, reducing bruising and swelling, supporting lymph flow and blood circulation as well as improving posture and alignment. Very lightweight foam material without adhesive, applied to the skin prior to sports tapes to provide a protective barrier. Helps prevent skin irritation and chaffing and makes tape a lot easier and more comfortable to remove. 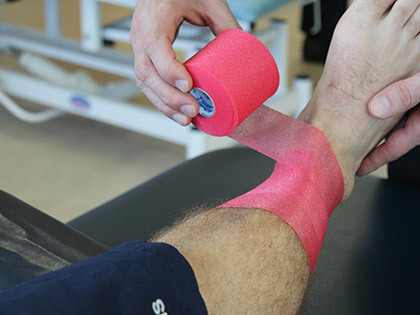 Pre-tape adhesive provides a sticky surface helping tapes grip even better to the skin and last even longer. Tape remover is an ideal solution for removing sports tape, bandages and adhesive sprays from the skin without leaving a sticky residue. A vital part of any physio bag or treatment room. Our range features strong, durable bandage Scissors, perfect for cutting or resizing tape. Plus, TufCut scissors which are strong enough to cut through clothes in an emergency. Don’t just take our word for it. See what our customers say about our products. thank you for your products ! Brilliant Pre Tape Adherent, if you're taping athletes who are performing in endurance events, swimming etc or anything which causes a lot of sweat this spray is perfect. There's nothing worse than taping moving about or coming loose half way into the activity and this really helps keep the tape where it needs to be. Highly reccomend. 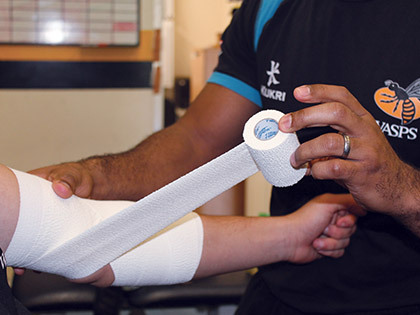 Strong tape, easy to use - perfect for Rugby Line-out lifting. Have tried the more expensive, pre cut brands and they aren't nearly as good as Tiger K. Stays well and truly stuck for almost a week and was recommended by a physiotherapist. 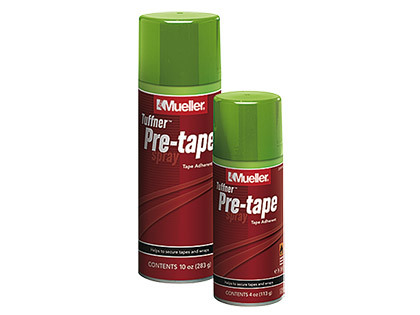 We've always used mueller but this is the same quality, only cheaper! Rugby boys liked it too. Will save the club a lot of money! Rep recently gave me a sample to try on our line-out jumpers. Was very good and we'll use this tape this season at the club. Should save us a few quid too!! What a fantastic product, bought for my son who plays rugby who saw what the senior players use as line out support, really sticks well, textured cloth and much lower in price to the other branded products. Thank you, we're really pleased with the new tape and feel that it is an important addition to our Tiger Tape range.